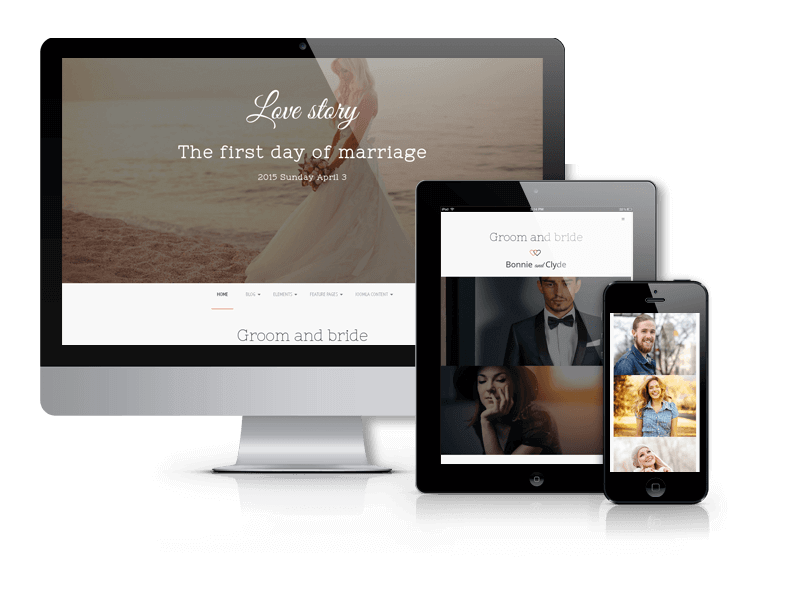 Get ready for gorgeous marital and dating wedding Joomla templates. Install one of our Joomla Wedding Templates in several minutes, and get ready website for expression your love. 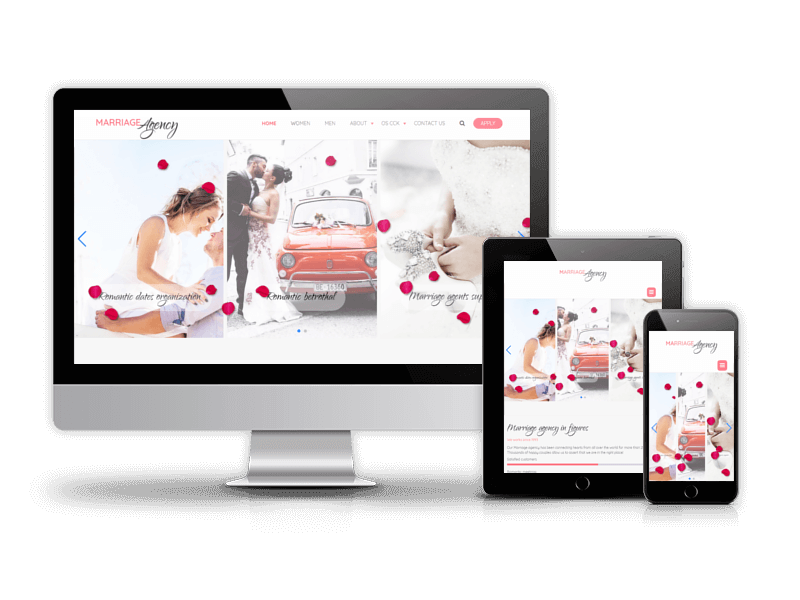 These responsive Joomla templates are also an ideal choice for newly engaged couple wishing to highlight their upcoming dates for friends. 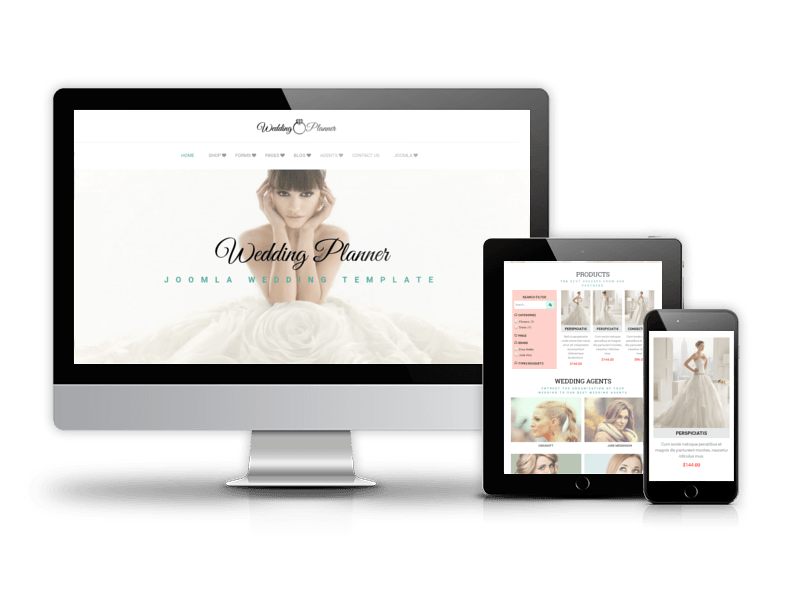 Joomla templates comes with lots of modern features that a wedding website must have - contact form, Joomla slideshow and gallery for showcasing photos of the couple, location map for pointing the place of ceremony, k2 blog for wedding blogging. Show your love, share your joy and happiness, record every moment of your beautiful wedding using OrdaSoft Wedding Joomla Templates.